A "+" denotes that the intended is deceased. Eternal rest grant unto them O Lord, and let your perpetual light shine upon them. May their soul and the souls of all the faithful departed, through the mercy of God, rest in peace. The Muslim Student Association organizes faith-filled activities and events for Muslim Students and the entire University. 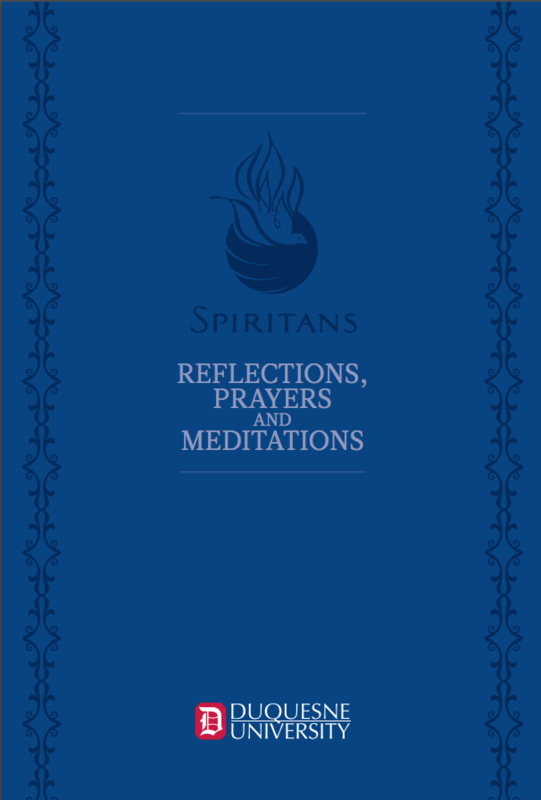 The University provides separate prayer rooms for men and women in the Spiritan Campus Ministry Center on the first floor of Towers. The suggested donation for the Chapel is $200. You must provide a priest for the ceremony. You may personally ask one of the Spiritans here at Duquesne, your parish priest, a friend of the family or a family member who is an ordained priest of the Roman rite. 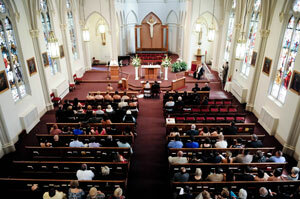 You can access the chapel 1/2 hour before the ceremony. 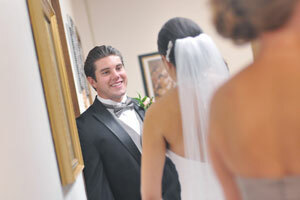 The entire ceremony (including photographs) may only last 90 minutes after the scheduled start time of the wedding. For this reason, there is to be no receiving line. 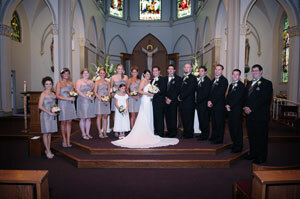 Together for life - Getting married and staying married can be quite a challenge! Together for Life Online was developed as a community of engaged couples, married couples, and ministers to help couples build strong, life-long marriages with God. 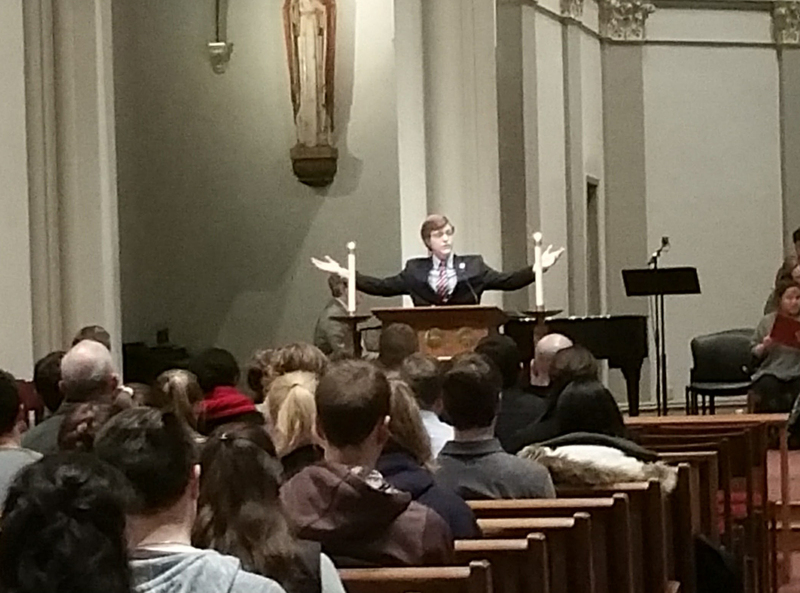 Students, faculty, staff and administrators are encouraged to participate in the special ministries of our liturgies. Register online to take part as a liturgical volunteer. Liturgical ministers are responsible and conscientious, fulfilling all assignments. 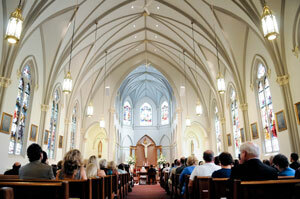 Liturgical ministers are asked to adjust personal schedules to help meet the needs of four weekly Masses. 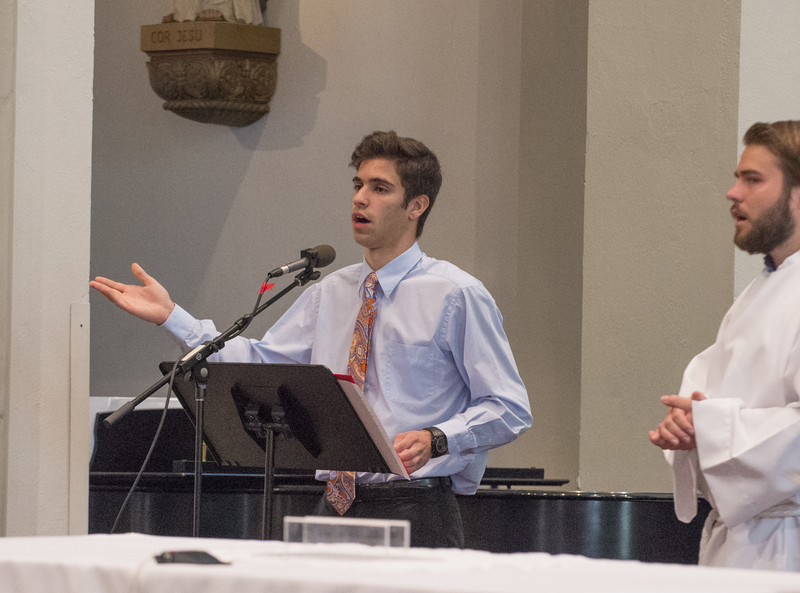 Liturgical ministry is an expression of stewardship, and is a rewarding opportunity to share your time and talent with the faith community. 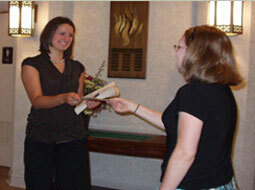 This liturgical ministry is for both the male and female student. The acolyte assists the priest at Mass. Acolytes prepare the sanctuary before Mass and places everything away after the Liturgy. The acolyte participates at Mass by praying and singing with all in the assembly. 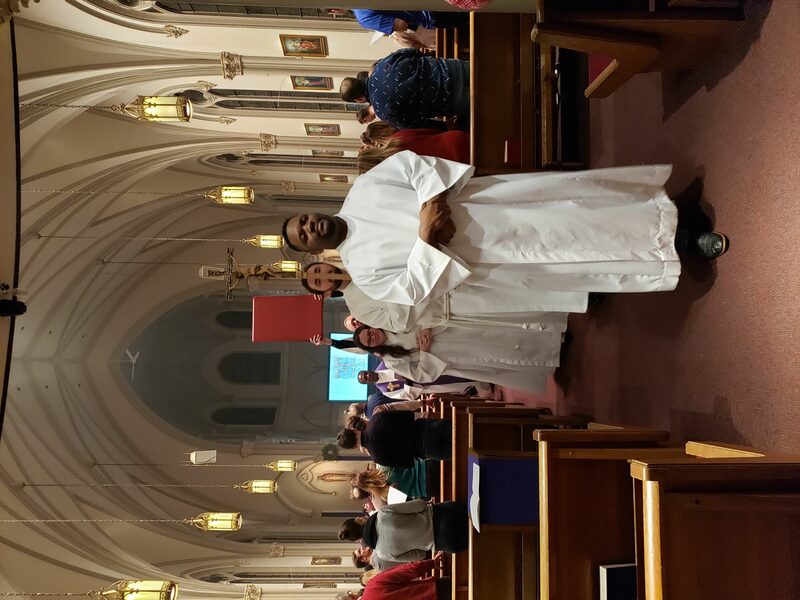 This liturgical ministry is for the male and female Catholic who is fully initiated, i.e., having received the sacraments of Baptism, Confirmation and Eucharist. The proclaimer does not just read the sacred scripture to those assembled at Mass. The proclaimer prepares for the proclamation of the reading throughout the week, make that scripture reading prayer. The proclaimer possesses a deep love of scripture. 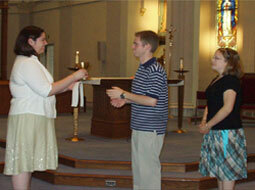 This ministry is for the male and female student to lead all gathered at Mass in sung prayer. The minister is observant and ready to serve when any need arises. They greet people at the doors, help seat those who arrive for Mass, take up the collection, and pass out weekly bulletin at the door. The minister possesses a wealthy of kindness for all that gather at Mass. This liturgical ministry is for the male and female Catholic who is fully initiated, i.e., having received the sacraments of Baptism, Confirmation and Eucharist. In the absence of the ordinary ministers (priest and deacon) those liturgical ministers offer the Body and Blood of Christ to those who come forward to the altar to receive the Holy Sacrament. The extraordinary minister of Holy Communism possesses a deep love of the Eucharist and needs to be formally commissioned. 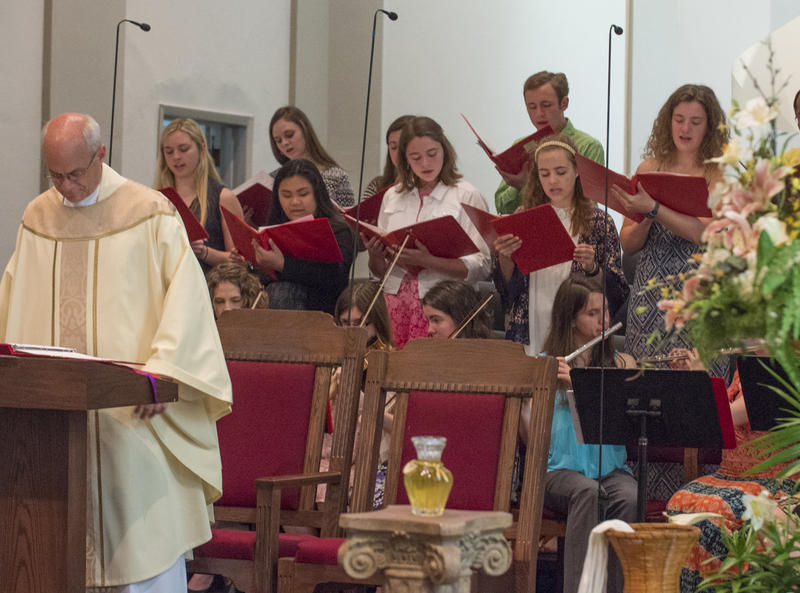 This liturgical ministry is for the male and female student to lead all gathered at Mass in sung prayer. 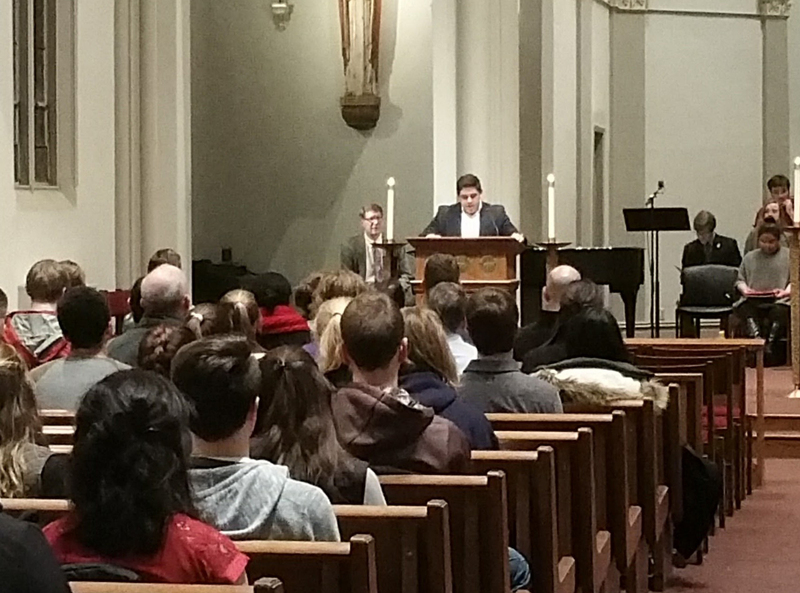 The cantor is welcoming and inviting as the assembly sings prayer and Liturgy. Never overpowering the people, the cantor leads the prayer through the ministry of singing. The cantor must be familiar and comfortable with the various musical compositions. This liturgical ministry is for the male and female Catholic who is fully initiated, i.e., having received the sacraments of Baptism, Confirmation and Eucharist. it is the ancient custom of the Church to sing the psalm at Liturgy. As the scripture readings are proclaimed from the ambo, so the psalmist proclaims the psalms in song form the ambo. This liturgical ministry is open to male and female individuals who wish to share their gift of song. The choir supports the assembly in the singing at Mass. There are opportunities for the choir to sing musical selections particular to their ministry. This liturgical ministry presupposes a commitment of time for both weekly rehearsals and participation at weekly Liturgy. 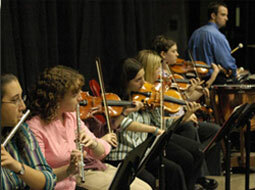 This liturgical ministry is for the male and female students who wish to share their gift of music. Confession is not difficult. Yet, if we want to experience the sacrament in the most profound way, we must prepare by placing ourselves in the presence of God and praying for the wisdom, insight and humility to reflect honestly on our life. Catholics seek healing and forgiveness through repentance and a resolve to change those parts of their lives that do not foster relationship with God and God's people. This reflection should involve searching one's thoughts, words and actions - an examination of conscience. Click here to read more about Reconciliation. Reconciliation is is available Monday through Friday at 11:30 a.m. and by appointment. The chapel is open to all for reflection and prayer. It is quite an impressive mission to fine oneself having to represent Christ. Is it even possible to show Him? We can evoke Him through an attitude, a gesture, within the challenges of carving and the reality of a material-oak wood in this case. This oak, not long ago, was a living tree full of sap. It was cut down and became a beam, in a neat square shape, and lifeless. The sculptor seizes it, and work begins as the precise tools bring out the sawdust and shavings. The beam loses its rigidity, its inertia. Thanks to your commissioning of the sculpture and to the sculpting work, a character appears-a man. The wood has become living, the most alive of the Living, the Risen Christ resurrected. He comes out of the tomb, springing from his shroud. 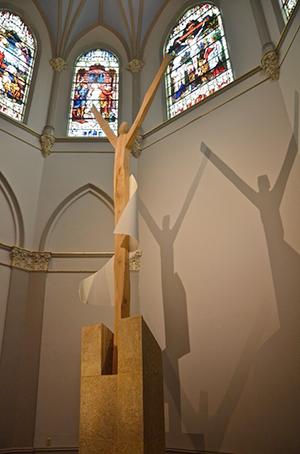 This sculpture has a twinned presence in Paris, which I sculpted with my late father, Jean Touret, for the Chapel of Orphans in d'Auteuil. With hope this sculpture lives up to the huge ambition of the humble sculptor: creating an invigorating presence in this place of yours and in your midst.